Junior Taylor Morris grew up in Henderson County and spent her childhood summers exploring Pisgah Forest and downtown Brevard. Due to health issues, Morris knew she would have to attend a school close to home. She was drawn to Brevard College both because of its location and the fine arts program it offers. The half-tuition scholarship offered by Brevard College helped ease the financial strain already facing her family due to medical bills. In 2013, Brevard College began offering the Half-Tuition Scholarship Grant to students from Henderson, Buncombe, and Transylvania counties (the grant has now been extended to 13 surrounding mountain counties. You can read the list of eligible counties by following the link here.) Tuition and fees for the 2016-17 school year were around $28,000 (not including room and board), so the much-needed aid made college a possibility for many local students. Morris is a senator in the Student Government Association, as well as a leader in the Fellowship of Christian Athletes. Sometimes she can even be found working at Bill’s Boiler House, the campus coffee shop, greeting people with a warm smile. “I was able to conquer health issues without allowing them to set back my education, and I am able to pursue my passions,” Morris says. She says she considered other schools, but Brevard was the only one that offered the intimate classes close to home that she wanted, at an affordable price. Along with half tuition, Brevard has rolling admission, which means that applications are considered throughout the year. Locals wanting to apply for half-off tuition may do so at any point in the year. When a student decides to attend Brevard College, they must pay an enrollment fee as part of registration. This enrollment fee is one way to estimate class size and how interested students are in attending. The College now has 229 net enrollment fees, compared to 127 net enrollment fees in 2016. Chad Holt, Vice President of Admissions and Financial Aid, says the numbers predict that Brevard will have record new-student enrollment for the Fall 2017 semester. “I would love to see all students in Western North Carolina who are considering any college to at least visit Brevard College and see if Brevard fits their intellectual, social, and career goals,” Holt says. 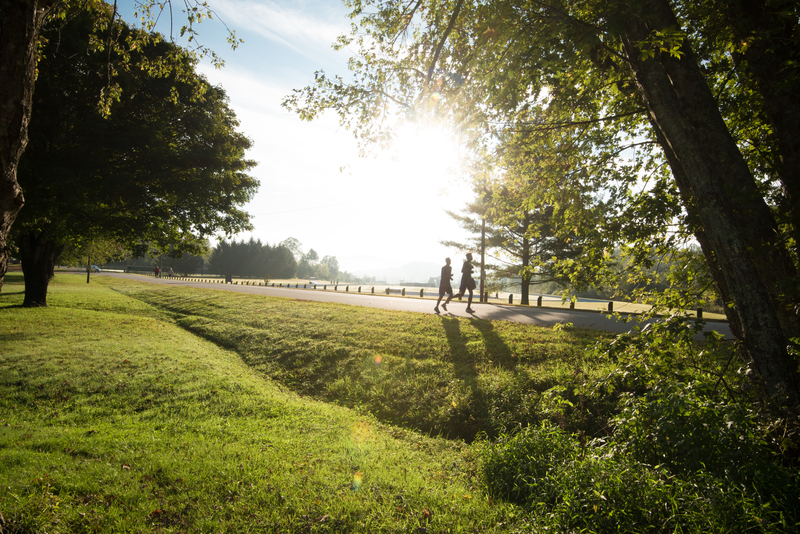 Those visiting the College for the first time will leave knowing three aspects that make Brevard College unique among other schools: its devotion to experiential education, the intimacy of its classes, and the area that surrounds the College. Proudly embracing the phrase, “learn in order to serve,” the faculty at Brevard teach students ways to use what they are passionate about to help others. With small class sizes, there are even more opportunities for one-on-one instruction between professors and students. When not in class, students can explore places like Pisgah National Forest and Dupont State Forest. Morris is double-majoring in exercise science and art with a concentration in sculpture. After graduating Brevard College, she plans to attend graduate school to further her education. She also wants to incorporate art and physical therapy later in her career. Morris says that, after overcoming health issues, she stayed at Brevard College because of the relationships she formed with faculty and students.